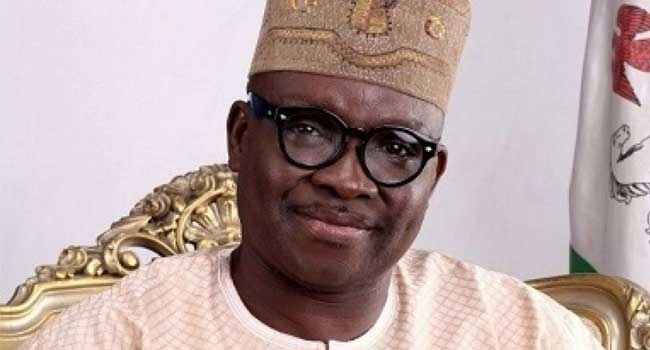 Ekiti state governor, Ayo Fayose, is interested in the case of a woman said to have been beaten by some policemen in Ado Ekiti at the weekend. The encounter at a checkpoint in Ado Ekiti left the nursing mother and her brother brutalized "for refusing to offer them bribe", according to the victims. Although, the Police Commissioner, Mr Abdullahi Chafe, defended the action, saying Mrs Toyin Adeyeye slapped one of his men and tore his uniform, Governor Fayose wants to find out the facts. During the monthly public enlightenment programme, “The Governor Explains”, he said that he had set up a team to investigate what truly happened since both parties involved seem to have different versions. The Governor said that he would ensure appropriate action against anyone found culpable in the case as he was particularly disturbed by the alleged beating of the woman, in spite of her status as a nursing mother.